Over the last 70 years, opportunities to be optimistic about anything having to do with North Korea have been exceedingly rare as the hermitlike State drew further away from the rapidly modernizing world. However, in the wake of Kim Jong un's historic meeting with South Korean President Moon Jae-in, the possibility of cooler tensions along the Peninsula and an American-led arms control initiative is incredibly exciting new territory for both the Orient and the West. Yet even with such high hopes, Marshall Kim’s volatility and President Trump's sensitivity force observers to ask if this Korean honeymoon will end in tears or celebration. Last month, as Mr. Kim became the first Supreme Leader to step into South Korea since his grandfather in 1953, smiles and pageantry inspired hope for a deal in which the Communist state would abandon its nuclear program and allow both sides of the Peninsula to reconcile. President Moon, ever the optimist, began the process almost a year ago in Berlin where he outlined his strategy to ease tensions between the two neighbors. It included inviting a North Korean delegation to the Olympics, reviving reunions of separated families and a possible meeting between he and Mr. Kim. He also called on North Korea to give up its nuclear programs that had recently kept the Pacific Rim on edge amidst a series of test launches. At Mr. Moon's insistence, his speech was delivered in the same room in which East and West German officials negotiated their reunification in 1990. On April 27th, his plan began to come to fruition as Mr. Kim made a brief visit over the dividing line before guiding the South Korean President over to his side as well. In the days since, this has paid major dividends for both leaders as Mr. Moon's approval rating has increased from 73% to 86% while 65% of South Koreans proclaim trust for Mr. Kim, up from 15% before the meeting. Many now see him, perhaps delusionally, as a charmer rather than a despot who operates the world's most reclusive and repressive regime. Even so, to the world's delight, Mr. Kim declared an end to the testing of long-range missiles and the closure of the country's nuclear test site at Punggye-ri, even going so far as to invite South Korean and American experts and journalists to verify his claims in person. Cooling tensions along the Korean Peninsula also presents the Trump Administration with another opportunity to make a lasting impact on global arms control after pulling out of the Iran Agreement and refreshing relations with Vladimir Putin ahead of the 2021 expiration of the current START Treaty. Nevertheless, in order to do so, the Administration will need to channel the diplomatic tactics of Cold War statesmen who used arms control to lessen the risk of nuclear annihilation rather than follow National Security Adviser John Bolton, who publicly likened North Korea to Libya - a State that gave up its nuclear ambitions only to be sacked by the West a few years later. It is imperative that American leadership realizes arms control brings not just constraints on WMDs, but provides knowledge of a country's capabilities and intentions and that the alternative is a future in which countries arm themselves because they can't be sure in regard to how much danger their adversaries pose. In such a case, nearly any action could escalate to nuclear war and it would undoubtedly be a shame if it took another Cuban Missile Crisis to jolt leaders back to their senses. As it prepares to take on a leadership role in disarmament talks, the United States will need to focus on striking a balance between its own pessimism and South Korean optimism toward the North. 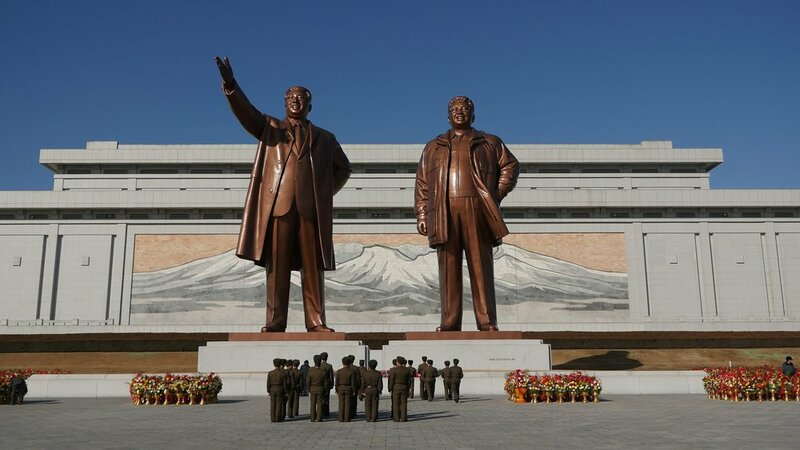 Experience in dealing with the reclusive regime has taught every American President since Harry Truman harsh lessons about North Korean promises - most importantly to cheer only concrete, verifiable actions and not just words. This is why veteran diplomats felt uneasy about President Trump using the Rose Garden for his speech about Korean reconciliation and insisting upon using the DMZ rather than Singapore, which has since been named host, for the North Korean-American Summit by proclaiming that "if things work out, there's a great celebration to be had, on the site." They also know that the Kims are serial cheats and that their nuclear program is central to their grip on power. That said, entering negotiations with such a negative mentality is not conducive to productive talks and could isolate Mr. Trump from Mr. Moon and Mr. Xi, both of whom have seemingly warmed to the despotic Mr. Kim as of late. Thus, the American delegation will have to show that it is appreciative of North Korea's recent steps toward openness while maintaining the discipline to not jump at a deal. While the June 12th Summit draws closer every day, the easiest conclusion one can make is that it will take skill and at least a little bit of luck for the United States to avoid a debacle in Singapore. President Trump's skeptics worry that his hunger to strike an agreement could lead to flimsier deal terms although he claims that he will leave the table if he feels unsatisfied and would continue his policy of maximum pressure, yet it's increasingly difficult to imagine South Korea cooperating with preemptive missile strikes against the North even if the talks end on a sour note. In the event that Mr. Trump is able to play his cards right, the Summit could certainly be something worth celebrating although it may well be a slow and arduous process as opening a country to the world often is. Until then, it’s best to just continue cherishing the scintilla of hope emanating from Pyongyang as we sit tight in anticipation of peace around the perimeter of the Pacific Rim.